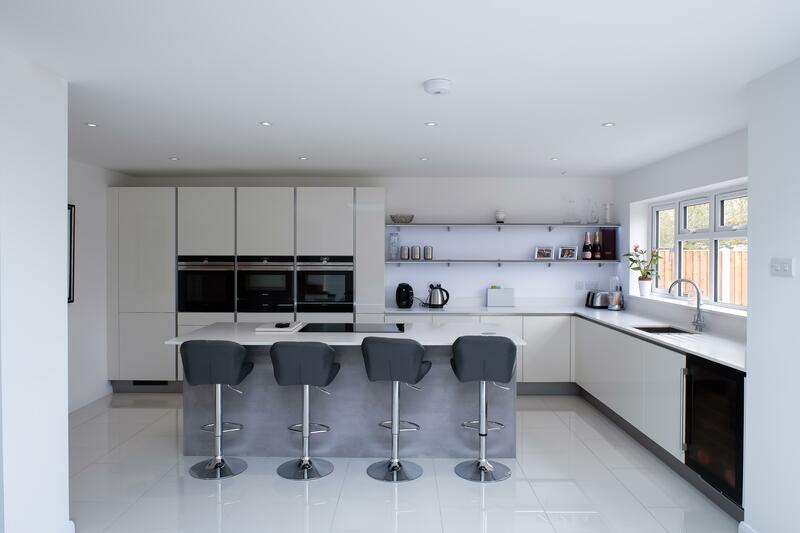 A grey and white mix with a twist. 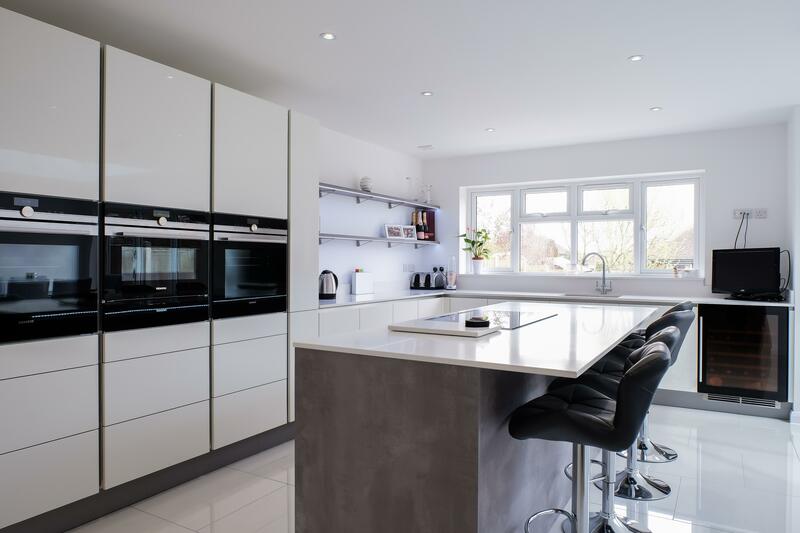 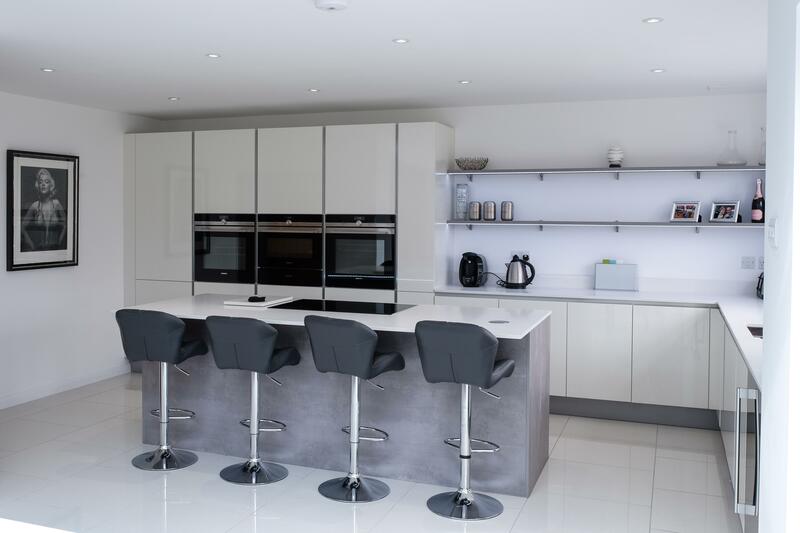 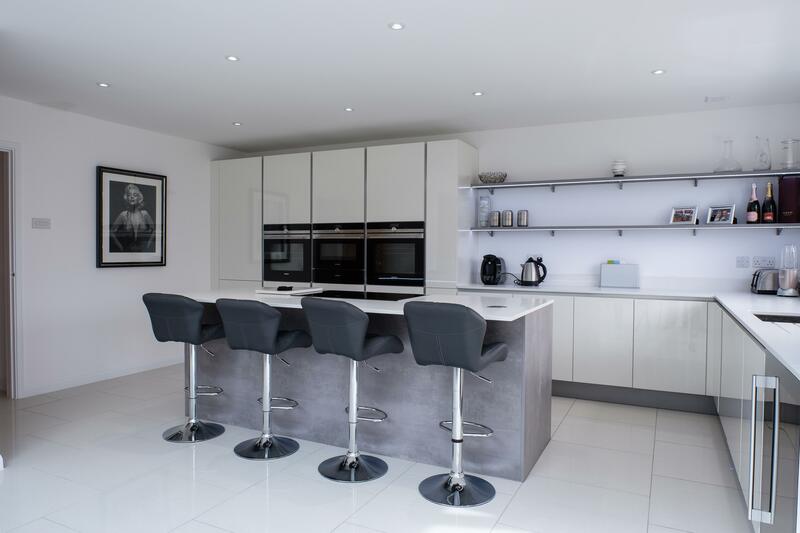 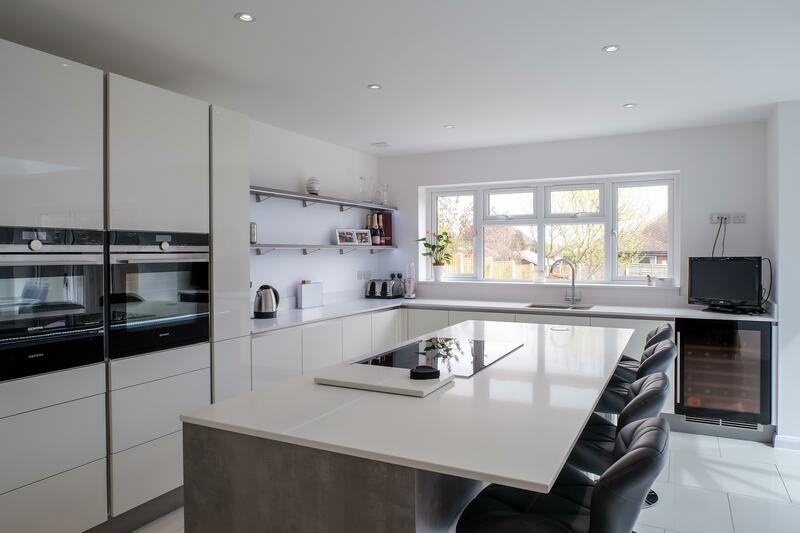 This kitchen is a combination of white gloss and concrete pearl grey cabinets, with pure white quartz work surfaces in 20mm for a sleek, modern look. 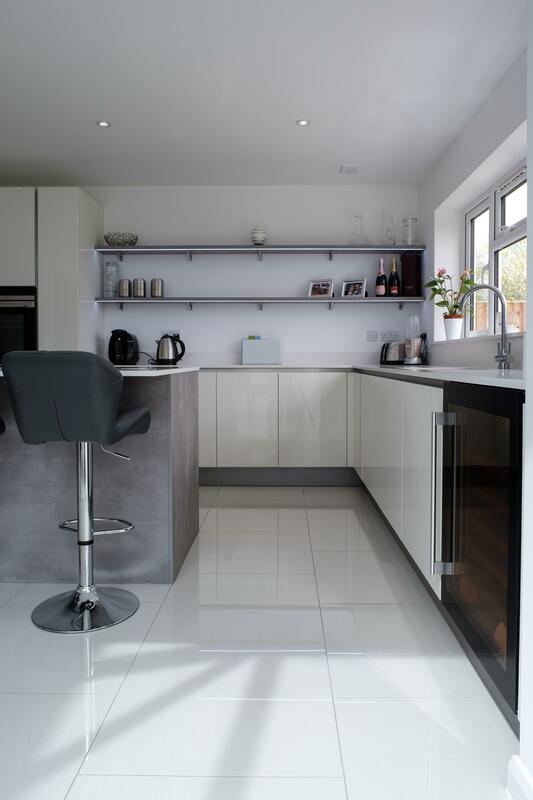 Part of the clients brief was to keep the space feeling open, so they opted not to have wall units. 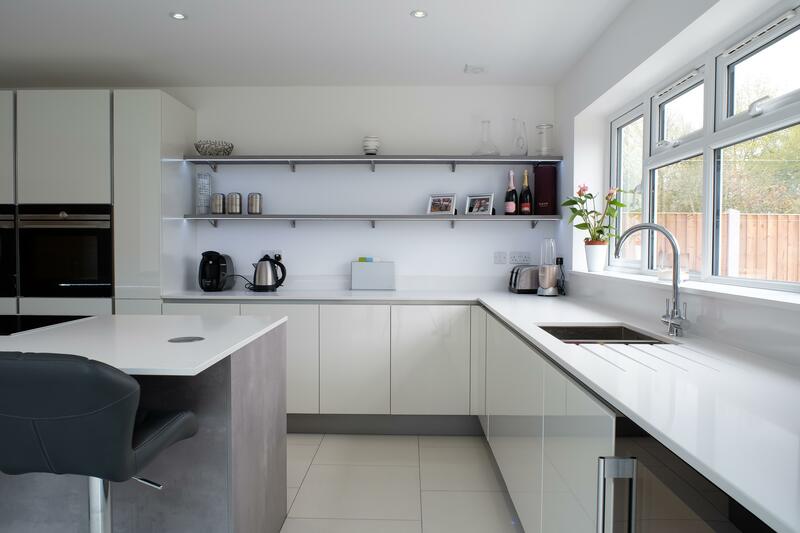 We suggested shelving in the concrete finish to provide some storage, and also for a place where the client could display personal items. 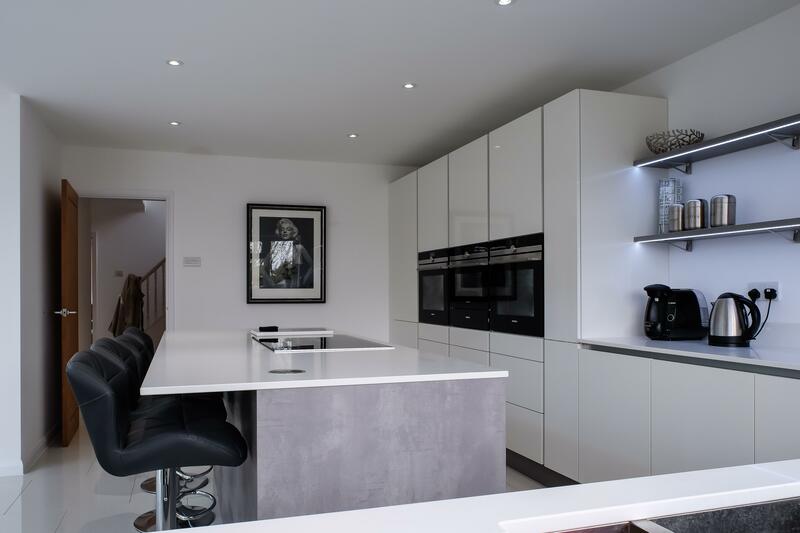 A pull out larder and plenty of wide drawers on the island provide alternative storage solutions for plates and crockery. 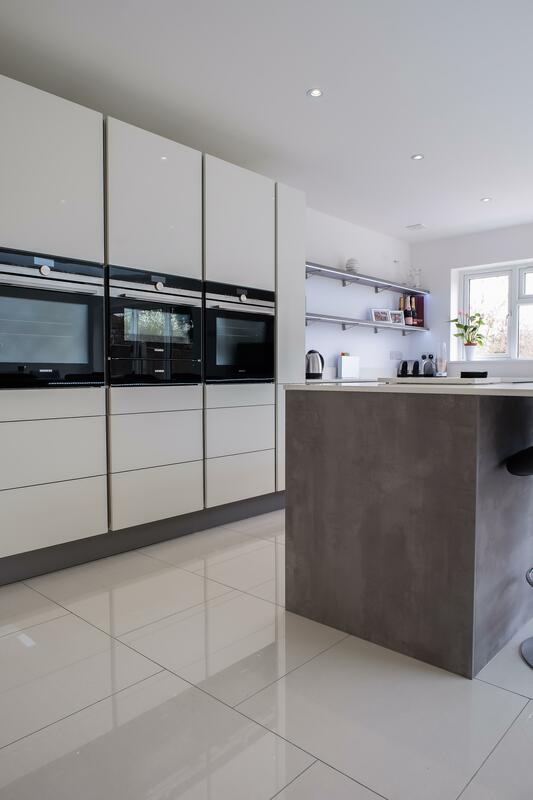 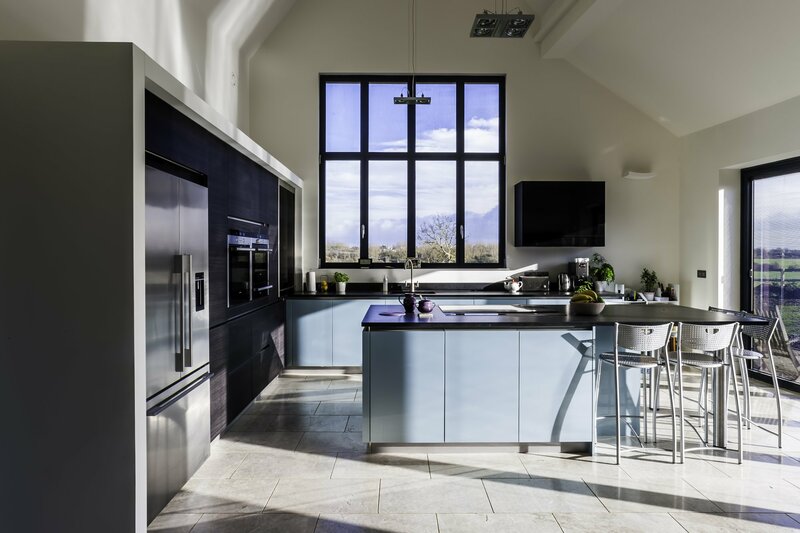 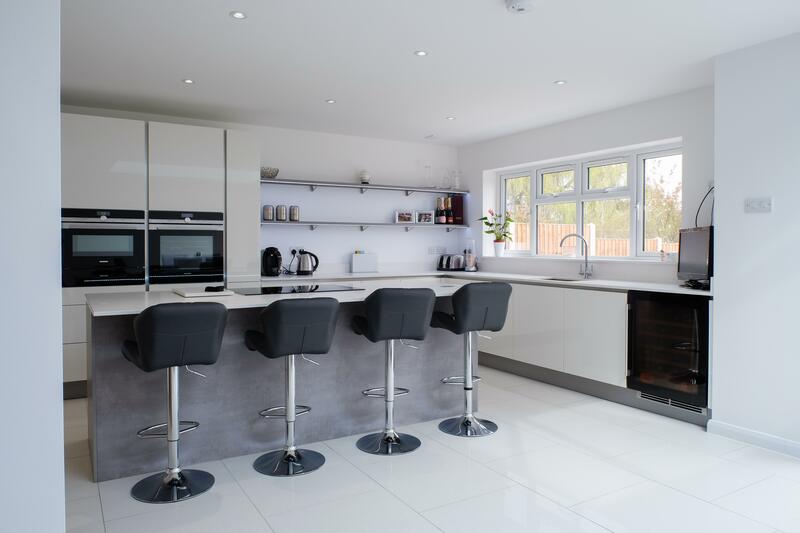 Appliances include two Siemens single ovens, a combination microwave with warming drawer, induction hob and Caple under counter wine cooler, a perfect space for entertaining.